This new Blu-ray collection combines four career-defining titles by Palme d'Or winning director Hirokazu Kore-eda – one of Japanese cinema’s most celebrated auteurs. The set features his austerely beautiful debut Maborosi and lyrical fantasy After Life, alongside Nobody Knows and Still Walking, films that cemented Kore-eda's reputation as an heir to Ozu and a chronicler of the modern Japanese family. 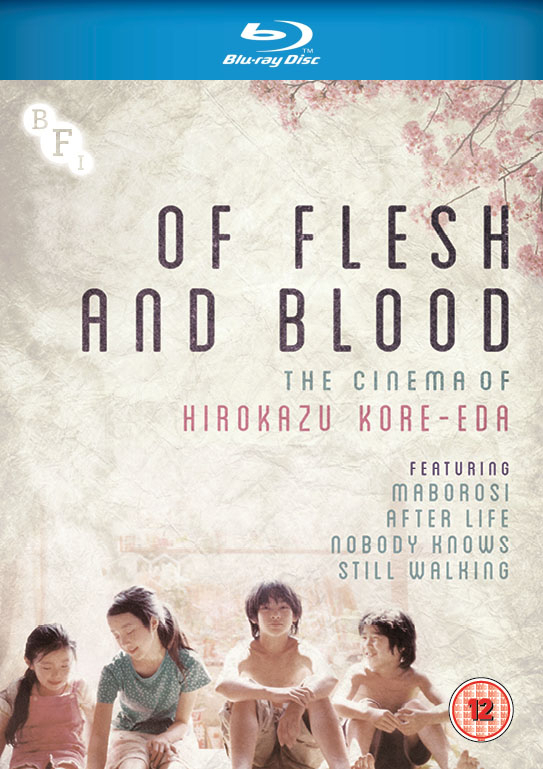 Available on Blu-ray for the very first time in the UK, the four films included in Of Flesh and Blood: The Cinema of Hirokazu Kore-eda celebrate the richness, diversity, beauty and humanity of the director’s work and essential viewing for fans of contemporary world cinema.